Humans can now hear the haunting, low rumble of wind on Mars for the first time, after NASA's InSight lander captured vibrations from the breeze on the Red Planet, the US space agency said Friday. 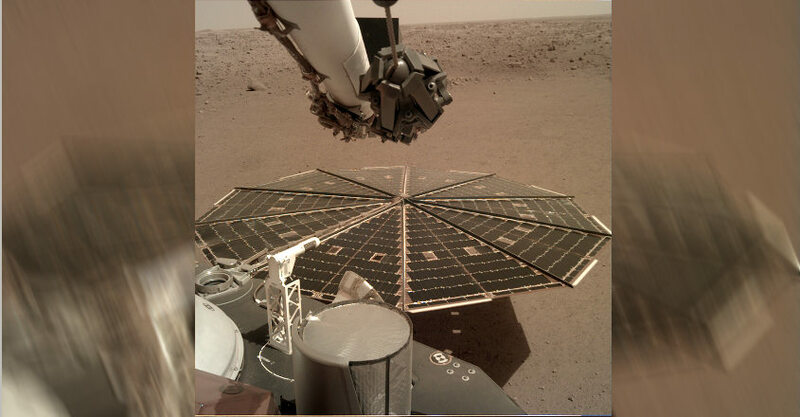 The strong gusts of wind, blowing between 10 to 15 mph (five to seven meters a second), were captured as they moved over the solar panels on InSight, an unmanned lander that touched down on Earth's dusty, desolate neighbour 26 November. Sensing the wind, which moved from northwest to southeast at around 5:00pm local time, was "an unplanned treat," said Bruce Banerdt, InSight principal investigator at NASA's Jet Propulsion Laboratory in Pasadena, California.